← The ‘Cinco Barrios Skateboard’ Is la Más ‘Fresca’ de NYC! 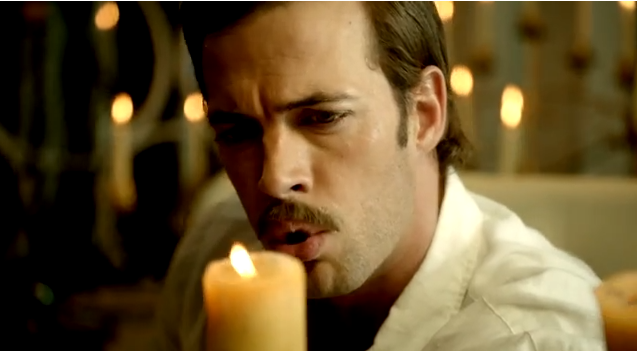 William Levy, the most beautiful man on Planet Earth –and a so-so telenovela actor– is hilarious in these series of new spots for Pepsi Next. Produced in English and Spanish, the spots feature the Cuban-American heartthrob cheesily playing several roles: An action figure, a rock star, a doctor, a romantic and a sci-fi guy. My favorite, of course, is the cheesy romantic. It makes me want to grab him a Pepsi Next right this minute. This entry was posted in Cuban-Americans in Miami, Language, Latin celebrities, Marketing & Advertising and tagged Pepsi, Pepsi Next, William Levy. Bookmark the permalink.